΄΄RUCI TOURS΄΄ is a trustworthy and organized tour & travel agency with offices in Athens and Albania, Vlora & Chimara. The agency has great experience in the area of tourism, offering complete domestic and international excursion packages, boat tickets as well as International Bus Lines to Albania, Italy, Bulgaria & Turkey. 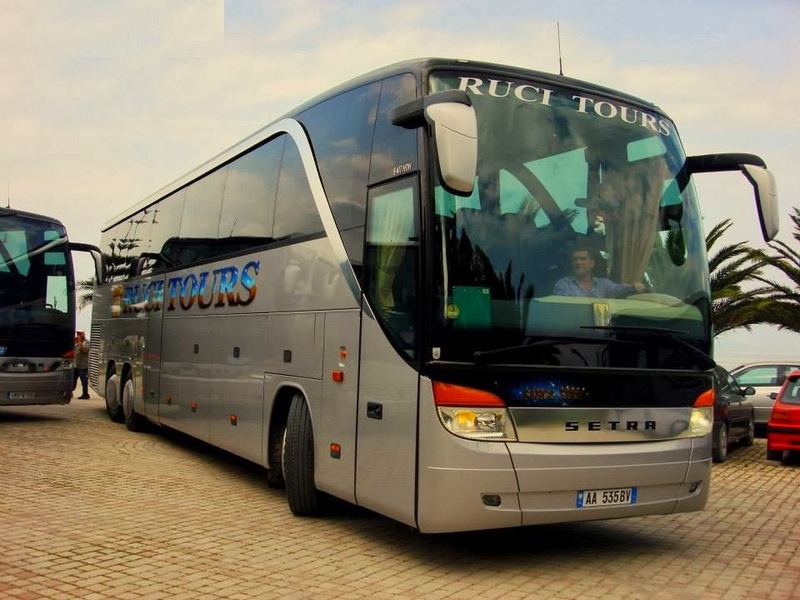 ΄΄RUCI TOURS΄΄ employs 35 people as drivers, accountants, salesmen, office clerks and public relation agents. It owns more than 25 luxurious tourist buses which are available for rental. The agency specializes in excursion packages of religious-archaeological-alternative character in Greece-Albania-Montenegro-Croatia-The Dalmatian Coast.It has trustworthy representatives and partners in Greece and abroad such as the general tour agency FIVOS TOURS, TRENOSE (former OSE), JONI TRAVEL. Day by day, the company is constantly evolving in the tourism and transportation sector, in order to respond to its clients increasing needs in the best possible way. It devotes its entire day to you and your need for Information, Entertainment, Relaxation and Discovery! 2. CHILDRENS UP TO 4 YEARS OLD TRAVELS FREE WITHOUT SEAT. Departures from our offices at Vlora .